Annnd we get it. A pretty rudimentary version but we got it. Can someone explain what is the barricade mode? 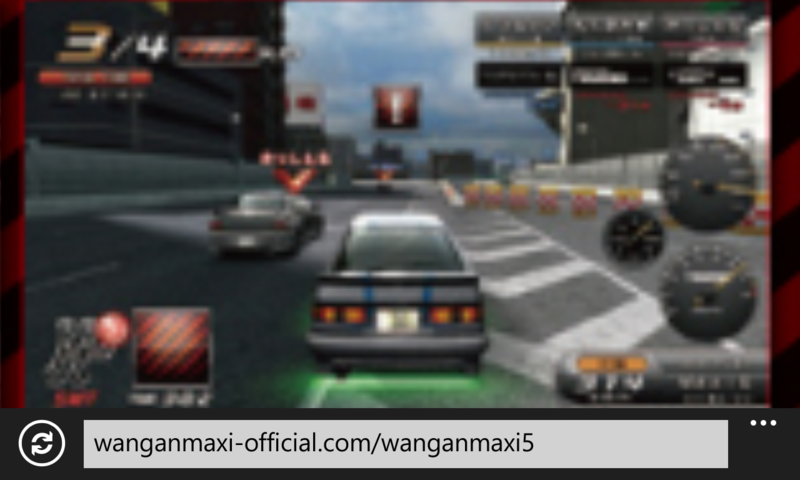 The only barricades I know of exists only in MT2 and it usually appears on Wangan Line on the straightway near the sloping tunnel.I have not seen it in the subsequent editions of Maxi Tune. It is usually only big enough for 2 cars to pass through and ramfests can get extremely brutal there. it was hardly a year and we've got MT5 in the works now. |: I do hope it comes as an update instead of a new game altogether. 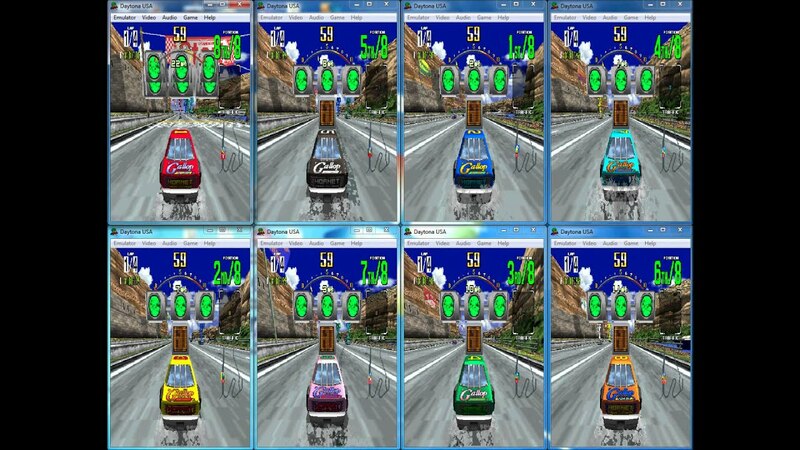 I wish Extreme Battle will make traffic cars have AI for the lulz. Or maybe we can play with someone overseas in the same time? But with 8 players in a game. I think this only felt quick for International players as they only had a 1 year wait. Imagine us Indonesian having to wait two years to learn that a new game is on the works. It's like Righteous Slaughter 7. Q1. Is the new course extension actually C2 Route or is it Shinjuku and Tohoku(???) like in Import Tuner Challenge? Genki modeled that bit and the course was also shown to have been modeled but blocked off in WM PS3. There is a turnaround at a certain point in the end of the line that goes to street level like Fukuoka. Because the C2 route right now is incomplete. If the route really is modeled the Wangan line would be extended again to pass Disneyland. Maybe now they are independently modeling the courses. Q2. Wasn't the R30 supposed to be a cheat code car that was supposed to be announced in the Future Lab blog? Along with a Nissan Leopard. I am most excited for the new battle mode, looks like we are going to have oncoming traffic runs running on the reverse direction. Yeah, this was unexpected at all! I'm gonna have to get the 86 and BR-Z to complete one of my team project layouts. And oh boy, prepare your wallets, guys. Imagine us Indonesian having to wait two years to learn that a new game is on the works. It's like Righteous Slaughter 7. And i hear news of this. An extreme case of "Can't Catch Up"
And that's bad.. if they won't come to your place before the deadline.. welp. So after closer inspection I discover what EXTREME Battle Mode is. Image size reduced, original size: 1280 x 768. Click here to view the image in its original dimension. The amount of mileage left to cover in the race is blocked from all players, so it is unknown how long will the race run, so maybe when the 'Don't Get Caught!' warning shows people are going to panic because the race is about to end and the leader will win the race in an unknown length of the finish line. Also I think the course map will return to the game since 3DX+, to be positioned just aside the gear transmission indicator. The map will be blocked too, so no one can predict where the course layout will go. And lastly, I think I nailed this one on my first guess, we will be having reverse courses in the game. You can now race around a two way highway in reverse, Western style (or maybe Filipino style :lol: ). The course depicted in the picture is Osaka, with the dome adjacent to the right hand side of the picture, instead of the left. That barricade you see exists already in MT4 as a barricade to close off unused branches and ramps. You can easily catch one in Yaesu ramps, C1's JCT's, and definitely Osaka. However it is unknown whether the AI traffic will become oncoming traffic in extreme battle, or will it be randomized, as what Extreme mode is all about. 4. No SP bar, good riddance because we're just gonna burn all our money on some short battles. Now we wait. In the mean time let's identify what the new course is, it can't be C2 when the text below it doesn't even say 'C2'.